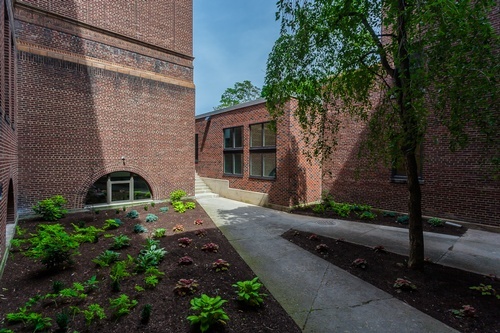 Academy Place is a historic building, with a decidedly modern future. The former Corning Free Academy is in the process of becoming Corning, NY’s newest luxury apartments. This local icon features 58 contemporary apartments and townhomes, a clubhouse, fitness center, and residential parking. The current structure known as Academy Place, formerly Corning Free Academy, was built in 1923, on the north side of West Third Street at the corner of Pine Street. 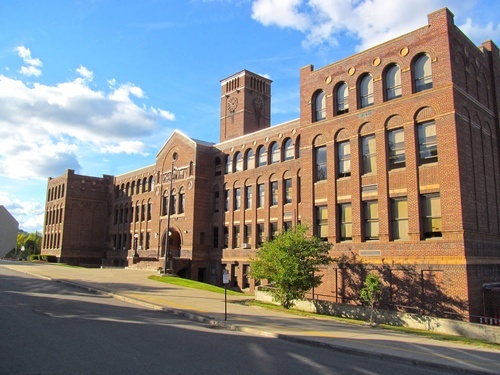 Designed by prominent architect Howard Greenley, Corning Free Academy was built in the classical Romanesque Revival style. 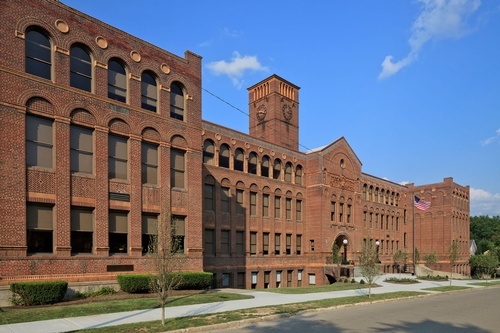 It features elaborate terra cotta, which was produced locally by the Corning Brick and Terra Cotta and Tile Company. A sculptured relief above the main entrance was designed by New York sculptor Leo Lentelli. Decorative Aurene glass shades were produced by Corning Glass works under the direction of Frederick Carder, a prominent glass designer. 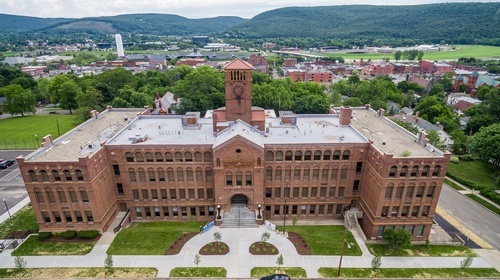 Purcell Construction began taking steps to preserve the Corning Free Academy building in 2013. 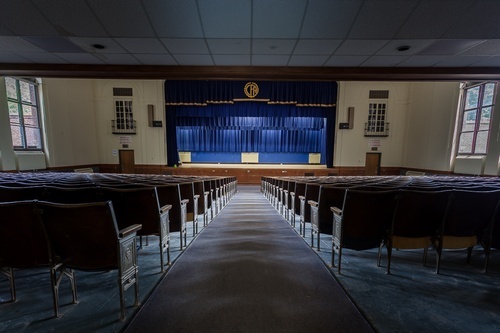 The school board considered converting it into district offices, however Mark Purcell’s plan for converting the building into apartments was more appealing to the school board and community, and ensures the historical features of the building will be preserved.